Paris at night, flower markets, rainy nights, French music, and Monet's home, along with the city itself inspired Indiana's own Randall Scott Harden. As he painted several in his forty-piece collection actually in Paris (for the 3rd time), Randall entitled his exhibition: “Paris, la troisieme fois est un charme” (third time's a charm). A professional painter for some 20 odd years, he has been recognized for his work with many awards, including five “Best of Shows” in juried exhibitions. 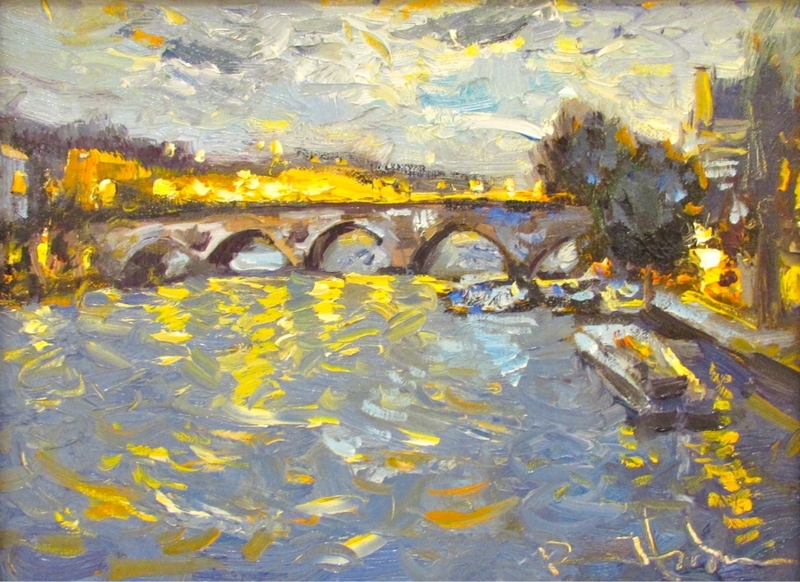 A prolific artist, his body of work can be found in numerous public and private venues throughout the world encompassing “en plein air” paintings of Europe, impressionistic themes, abstract inclinations, even still lifes. With colorful landscapes, the American Midwest remains a common subject, and he retains a fondness for his hometown, Noblesville, where he keeps his studio. Catch a preview and exclusive interview with Randall here. "Meet me under the bridges in Paris, … or something like that."